I found this gem from one of my walks on shoreline of Lake Superior. 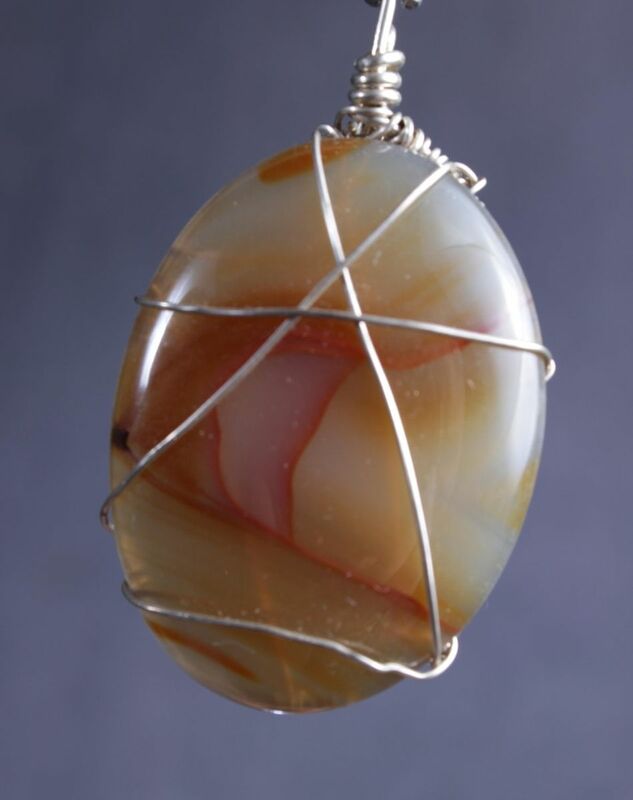 Before I wrapped the agate with hammered sterling silver wire, I cut and polished it to perfection to further reveal its amazing complexity. This 2-inch long and 1 _-inch wide oval-shaped semi-precious pendant can be worn with any of our silver necklaces.